Lorenzo Snow became president of the Church in 1898. Before his death, President Wilford Woodruff made it known to the Quorum of the Twelve Apostles that in the future, the Lord wanted the new prophet to be sustained quickly, rather than waiting several years, which had been the practice. Once a prophet dies, the First Presidency is dissolved and the senior-most apostle stands next in line for the presidency. Upon the sustaining of the Twelve, the new prophet is set apart and calls his counselors. With the rapid sustaining of Lorenzo Snow beginning the precedent, this process happens almost immediately now, and there is no confusion about the process or about who will become the next prophet called to lead the Church. During Lorenzo Snow’s presidency, a Mormon named B.H. 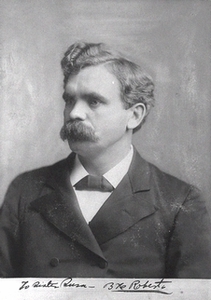 Roberts was elected by popular vote as Utah’s representative to Congress. Roberts had given much political service, but many felt because he was a polygamist, even though he had been granted amnesty, he should not be allowed to serve in Congress. Despite the fact that he had more non-Mormon supporters than Mormon, he was excluded from serving in Congress by a majority vote. Many of the congressmen who voted against Roberts admitted they did so only due to public opinion and to save their careers, though they voted against their consciences. One of the successes Lorenzo Snow is most remembered for is the issuance of Church bonds and his preaching about the law of tithing. After so many law suits and failures in the fight for its members’ right to live polygamy, the Church had been forced into dire financial difficulties. Lorenzo Snow approved the sum of one million dollars to be issued in bonds, which were bought up by the Church members. This course of action allowed the Chuch to meet its financial obligations. “Resolved: That we accept the doctrine of tithing, as now presented by President Snow, as the present word and will of the Lord unto us, and we do accept it with all our hearts; we will ourselves observe it, and we will do all in our power to get the Latter-day Saints to do likewise” (Quoted in Essentials in Church History, Joseph Fielding Smith, 504). Another significant accomplishment of President Snow’s administration was the opening of a mission in Japan. Sending missionaries to the Far East was a milestone for the Church’s missionary program, whose goal was to preach the gospel to all nations of the earth. This goal is still in force today.